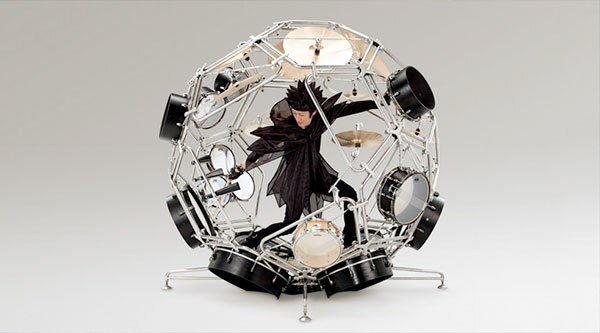 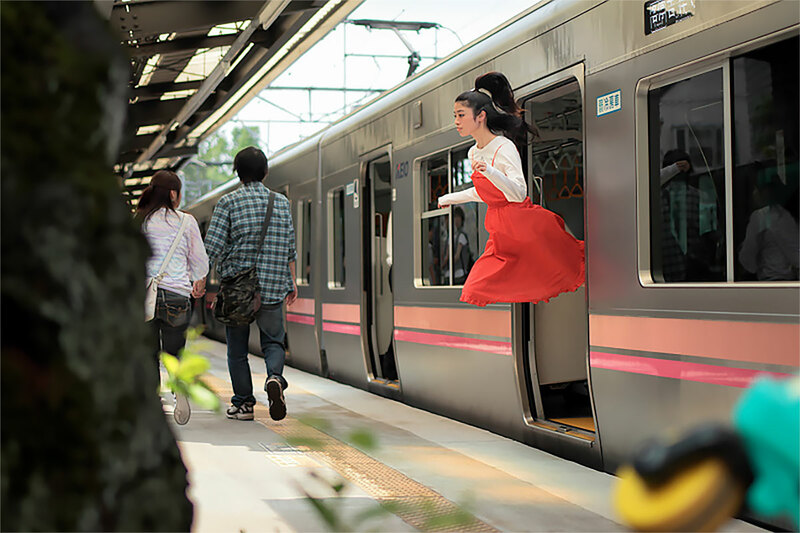 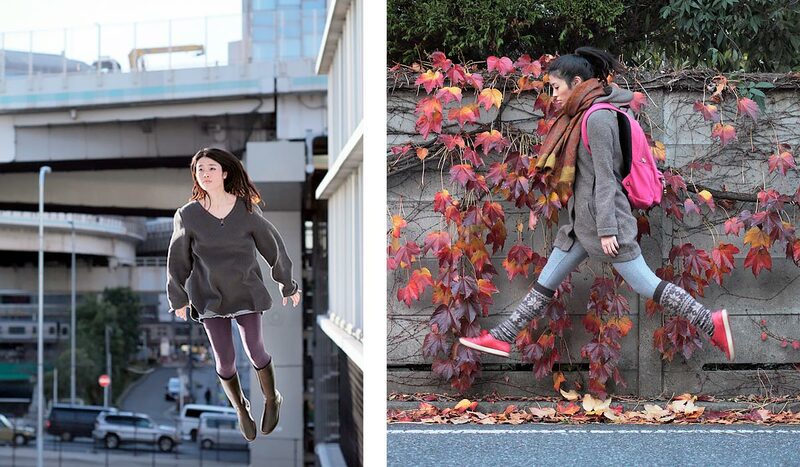 Levitating Girl – series of creative self-portraits by Japanese artist Natsumi Hayashi. 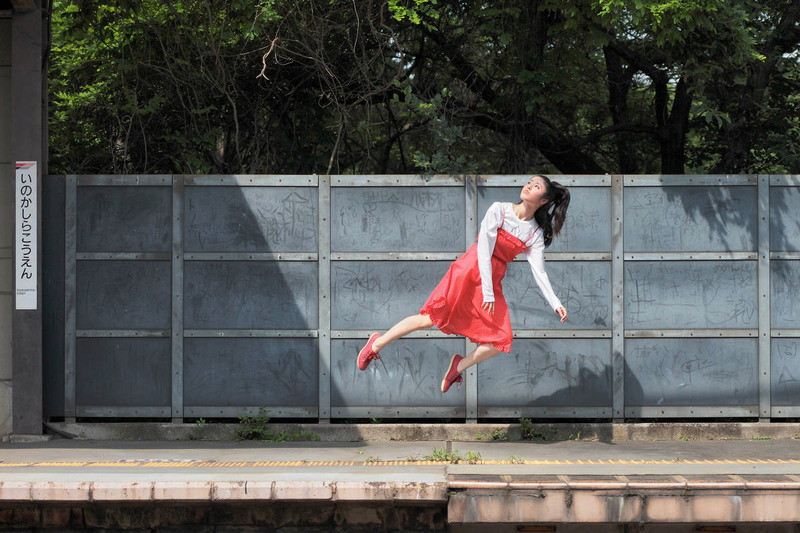 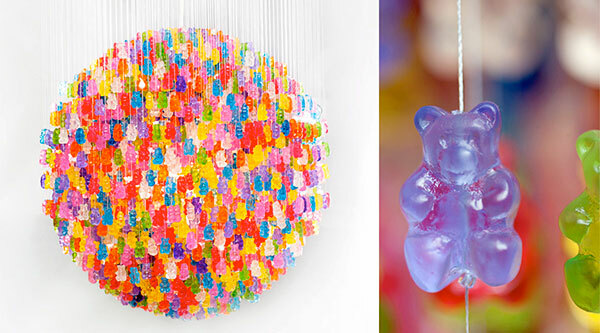 Natsumi Hayashi jumps in the air and freezes time with her camera. 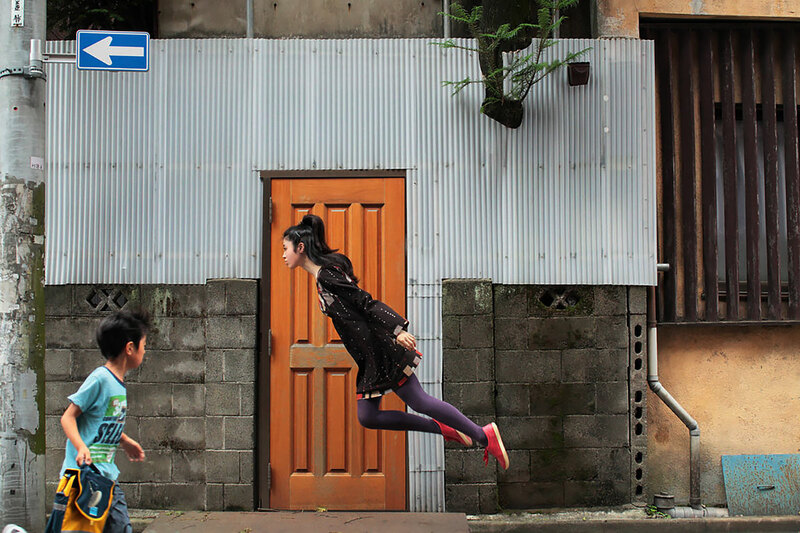 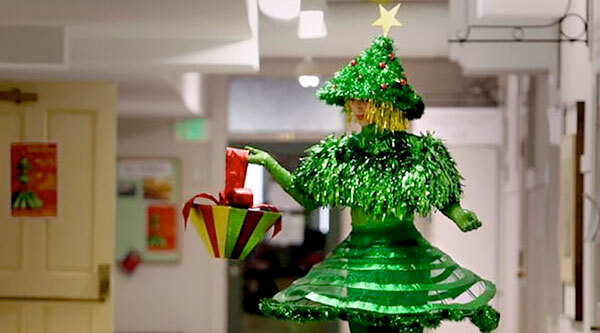 Levitation Photography requires fast shutter speed / exposure time (faster than 1/500 s). 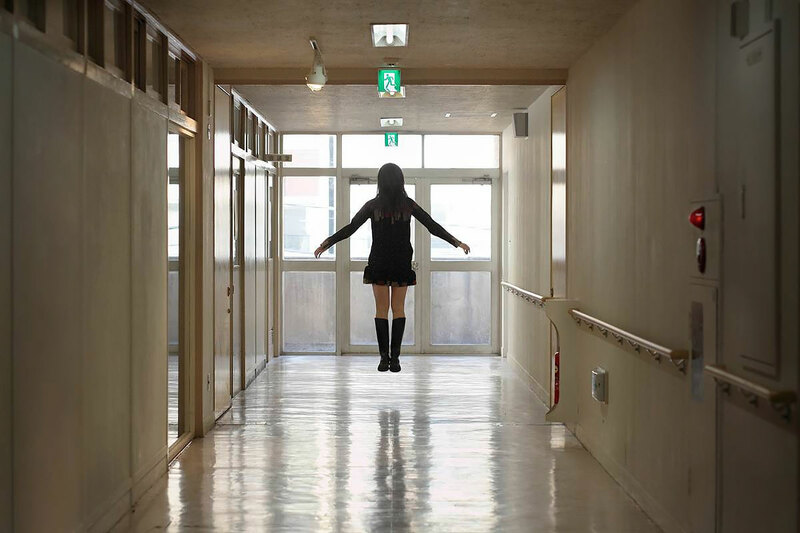 You have to jump hundreds of times to get the perfect shot.